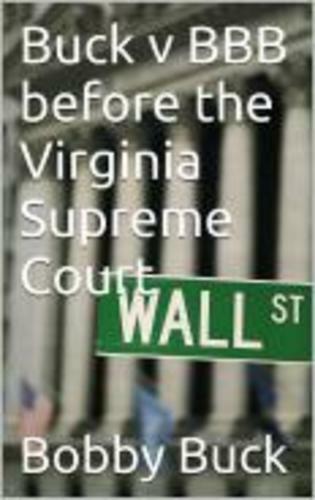 In my book, INFOBUCK.COM versus the Better Business Bureau I expose what might be "corruption" in the Judicial system when entities such as corporations can hire the services of legal firms and the common layman does not have the financial resources to do legal battle...available at Amazon.com. Roanoke's WDBJ 7 Televison in bed with the BBB of southwest Virginia...refuses to do an expose' on the BBB's "pay for play racket" in the valley. Of course, WDBJ 7 pays for accreditation with the BBB and thus a major promoter of the scam against those that can't afford to or won't pay. Hackers not only steal healthcare information but can alter patients' indebted obligations...that's why you should contact us at INFOBUCK.COM to stop these unscrupulous debt collectors. We stop unscrupulous medical debt collection...period. A case where the law firm received $203,000 of a $495,000 settlement with $34,000 for the patient's medical bills, and the patient's remaining family members of four receiving approximately $64,500 a piece. Current Virginia Governor strives for health coverage...unlike former GOP Governor, busy lining his pockets. Political gifts could send Virginia Governor to jail. INFOBUCK.COM...a suitable alternative in this sort of crisis? "FEDS" investigating BBB extortion racket? Stopping Unscrupulous Medical Debt Collectors! 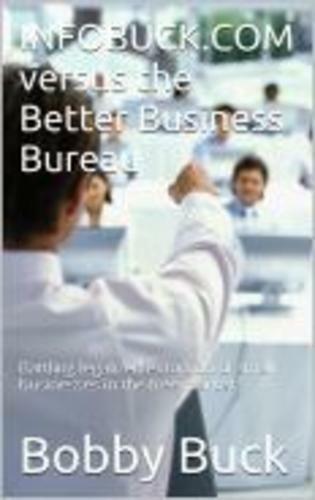 Better Business Bureau of Southwest Virginia headed by Julie Wheeler being pursued for extortion of small businesses that fail to pay money for accreditation with an arbitrary grading system...notice no complaints ever filed. Hospital conjures up insurance scheme? Julie Wheeler, CEO of BBB "extortion racket" in the Roanoke Valley? Time to clean house! INFOBUCK.COM stops Medical Debt Collectors in their tracks. INFOBUCK.COM offers free advertising to all businesses in our nationwide network...click here..
We are pleased to announce our online business has grown to not only offer free advertising to businesses, but a source of employment nationwide. All businesses that are hiring...get your free web page! E-mail requests to infobuck@juno.com. No Insurance and Huge Medical Bill? The "dirty little secret" of healthcare fraud with gov't go ahead after the facts and they are caught. The Department of Justice is patting itself on the back for getting a $3 Billion settlement with GLAXOSMITHKLINE, when in fact, the giant pharmaceutical profited approximately $18 Billion in its healthcare gamble with the public; thus, netting $15 Billion with its sales strategy. You can see why a gamble such as this will always be considered, and well worth taking the chance to boost a company's bottom line, since only fines and no criminal sanctions were imposed, for the action was considered a "misdemeanor." Therefore, look for more of this kind of "healthcare hustling" in the future...in light of what might be called "toothless consequences." Health care tax hikes for 2013?